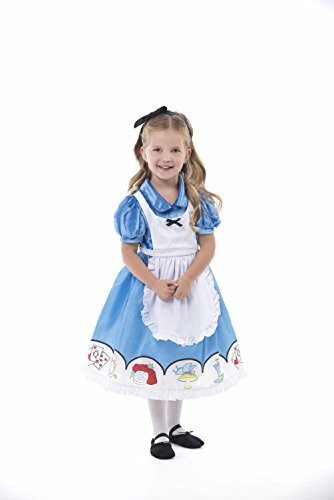 Cute Alice dress for little girls, licenced by Disney. The apron has a little image on it. It includes the dress, petticoat, and headband. Deluxe below the knee length dress with attached pinafore, ruffle trim petticoat, and headband with bow. Fits 3T-4T. 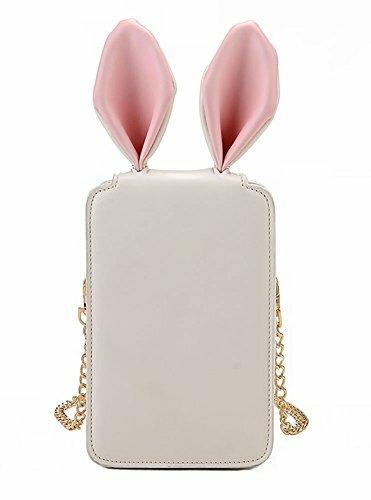 Stylish handbag with rabbit ears. Carry the White Rabbit with you, wherever you go! Headband wrapped in ribbon, with a black bow on top. The size is suitable for school age children and adults.